Hello there friends, I’m Paul Strader, a rising third-year at the University of Virginia studying History and American Studies. 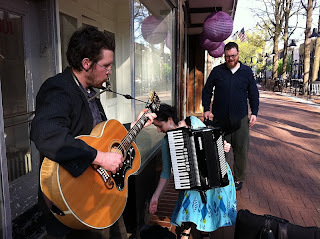 As a lover of anything with a backbeat, melody, and rhythm you can groove to, I’m here to share my favorite thing about Charlottesville, Virginia: the music scene. 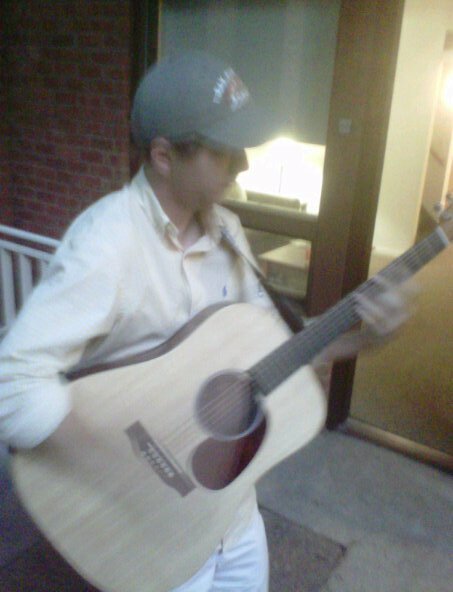 When not on the golf course, growing up, I would either be listening to Dave Matthews Band or trying to learn to play their songs on an old guitar my brother had given me after he went off to college. I grew up listening to almost nothing but Dave Matthews, however, I will do my best to make this post not a historical tale of their beginnings, but rather provide useful insight to one of Charlottesville’s best assets. An artsy (read: blurry) picture of my and my favorite earthly possession. 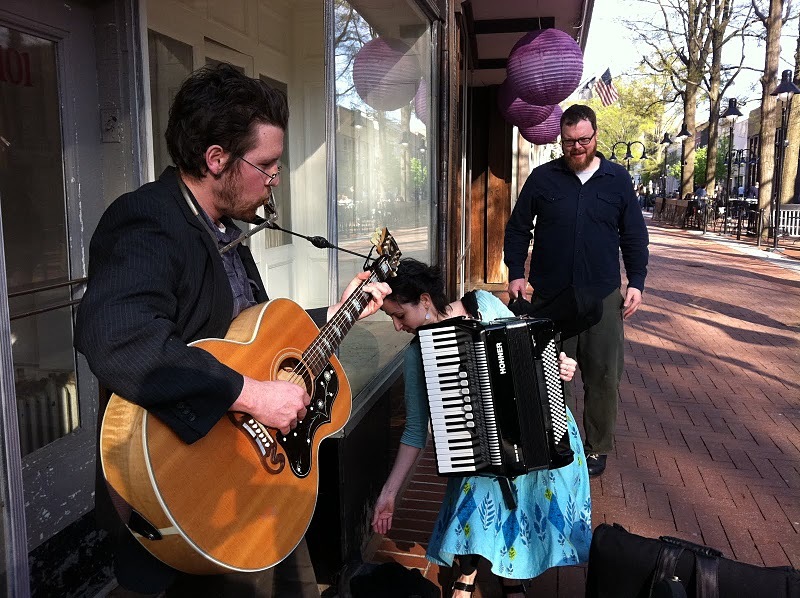 A small town, nestled at the foot of the Blue Ridge Mountains, Charlottesville and its music venues are far cries from the bustling metropolises and nationally known centers of all things music. You won’t find Red Rocks, SPAC, The Gorge, or MSG in Charlottesville, Virginia, but that doesn’t mean you won’t find good music. Charlottesville had always been home for good jazz and bluegrass but it was our most famous sons who made Charlottesville known for more than just the University. When the Dave Matthews Band formed in downtown Charlottesville twenty-three years ago, Charlottesville’s music scene was born. As the band grew more and more people began to see Charlottesville as more than just a University town and other big time bands began to flock to the birthplace of the Dave Matthews Band. “Cville” can now boast a music scene with a variety rivaling even the biggest of venues. Whatever your taste, there is something for you in Charlottesville. 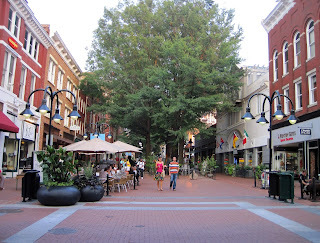 If you like jazz, numerous restaurants in the heart of downtown Charlottesville have free jazz most nights. If it’s bluegrass or country you’re after, Railroad Earth and Luke Bryan make regular trips to the area. Rock fan? Bruce Springsteen was here last year. Every year more and more big name groups start coming through. This fall, Taylor Swift, Fun., Phoenix, and Willie Nelson will make stops at our main venues. Fun., Phoenix and Willie Nelson will come to our main outdoor venue, the nTelos Wireless Pavilion in historic downtown. Also downtown is our main indoor venue, the Jefferson Theater, home to concerts throughout the school year, including frequent visitors and UVA alumni, Parachute. Finally, our biggest venue, the University’s own John Paul Johns Arena, home of Cavalier basketball and for one night this fall, Taylor Swift. JPJ draws our biggest acts and its location on grounds makes access for students incredibly easy. On a yearly basis names such as Blake Shelton, Pearl Jam, and Bruce Springsteen make stops at our very own basketball stadium. 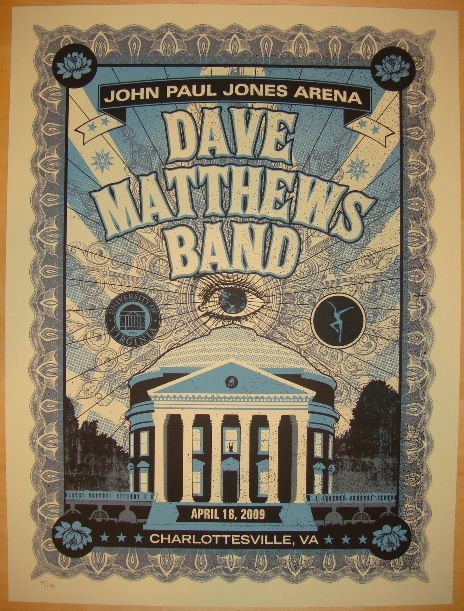 When John Paul Jones Arena first opened 2006, Charlottesville’s breakout group, Dave Matthews Band, came home to play the official grand opening. They now make JPJ a yearly homecoming. If you are like me, and from time to time prefer to take a break from big name acts, and big-time ticket prices, Charlottesville is home to plenty of up and coming bands. 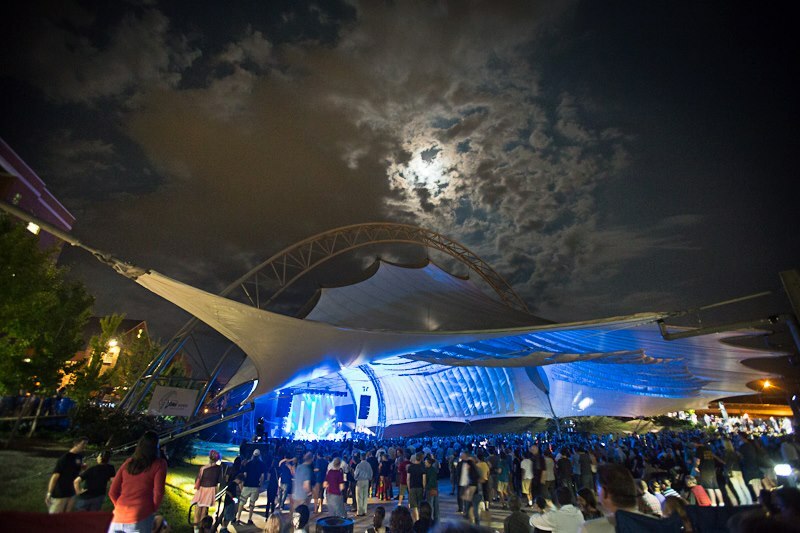 The nTelos Pavilion downtown hosts a free concert series every summer, Fridays after Five, that highlights some of our local bands, every Friday during the summer. 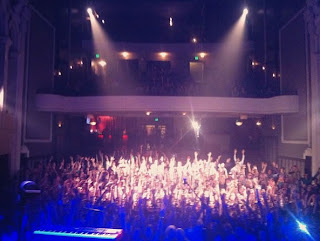 These concerts always draw good numbers and it is a great way to spend a Friday evening after a long week of work. Beyond Fridays after Five, Downtown Charlottesville is also home to several restaurants with jazz regulars. Places such as Miller’s will host weekly jazz performances from well-known musicians who bring in promising young players to sit in with them. For example, John D’Earth, a member of the UVA music department faculty and well-known trumpeter, plays every Thursday night at Miller’s with a rotating group of musicians. Some times you get to hear young musicians just starting their careers, other times you get to hear legends like one time keyboard player for Dave Matthews, Butch Taylor. So if you love music, but don’t love large ticket prices, Charlottesville has a lot to offer. Downtown Mall, home to Fridays After Five. Street performers on the Downtown Mall. I first came to Charlottesville for a concert back in November of 2010 for a Dave Matthews Concert at John Paul Jones Arena. At the time I had no idea Charlottesville was such a hot spot for such a wide variety of musical styles, all I knew was that Dave Matthews Band got their start here. When I began my studies here at UVA the following fall, I assumed I would spend most of my time on grounds, studying and going to sporting events. Little did I know that now two years later, I would be spending my weekends embracing genres I had never listened to before, like jazz. 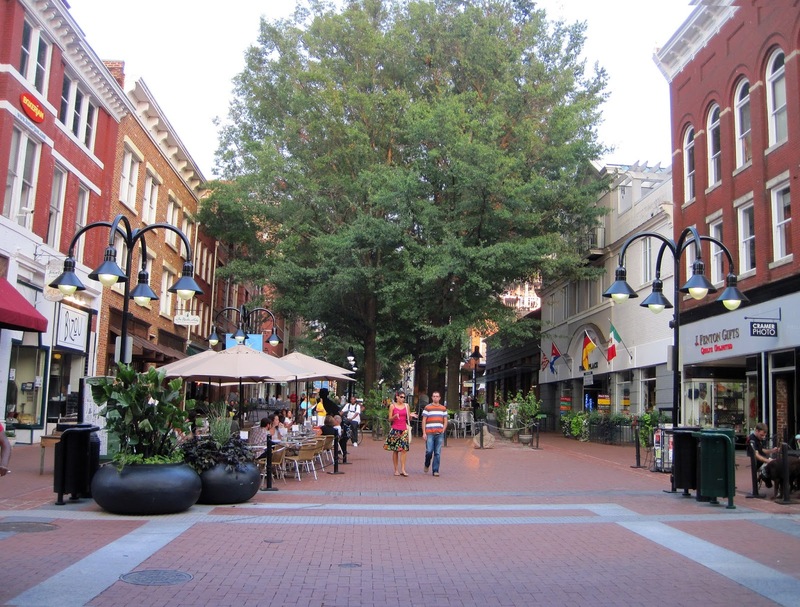 Charlottesville has made this music lover more adventurous in his listening. The depth of the music scene here has made me look for new groups to listen to, and inspired me in my own musical endeavors. I never would have thought that I could find such a rich musical culture in this town, but certainly have been glad to embrace it. If you are a music lover like me, Charlottesville has seat waiting for you. So when you get the chance, come check out the scene down here in Hooville where the streets “are full of dancing, full of singing and romancing” and where the music never stops. Hey everyone. My name is Alexander Bozicevich and I am doing a major called Political and Social Thought with a minor in Theater. I am going into my third year, which is something that I am still coming to terms with. I love cuddling, puppies, long walks on the beach, and treating blog intros as if they’re entries on a dating site. Yeah, I’m a theater kid. Being a theater kid was something I had to ease into. 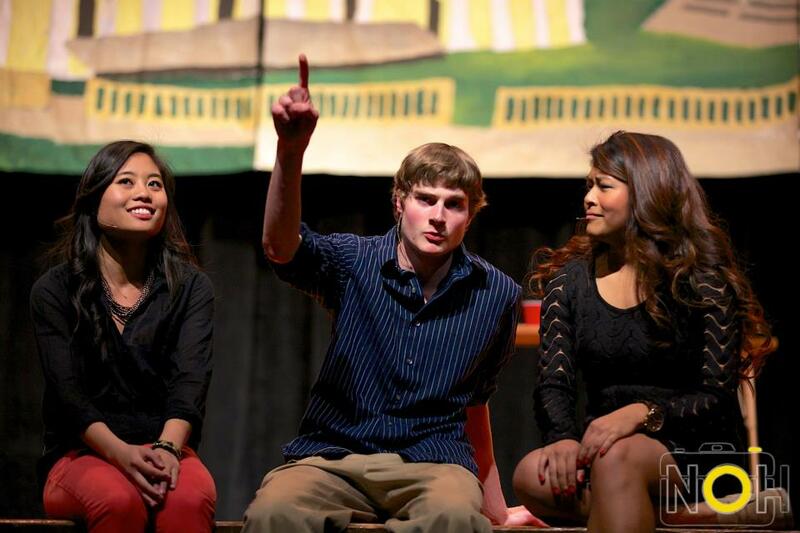 I did plays all throughout high school, but when asked if I wanted to be an actor I’d always say no. I prided myself on having more practical career plans (even while entertaining fantasies of some Hollywood director discovering and begging me to be in his film as I regretfully accepted). Then came the summer before college when I attended a summer governors school for the performing arts and, as these once-in-a-lifetime, memory-making summer programs are apt to do, I had my life changed and realized that performance was not something I could leave behind in high school. 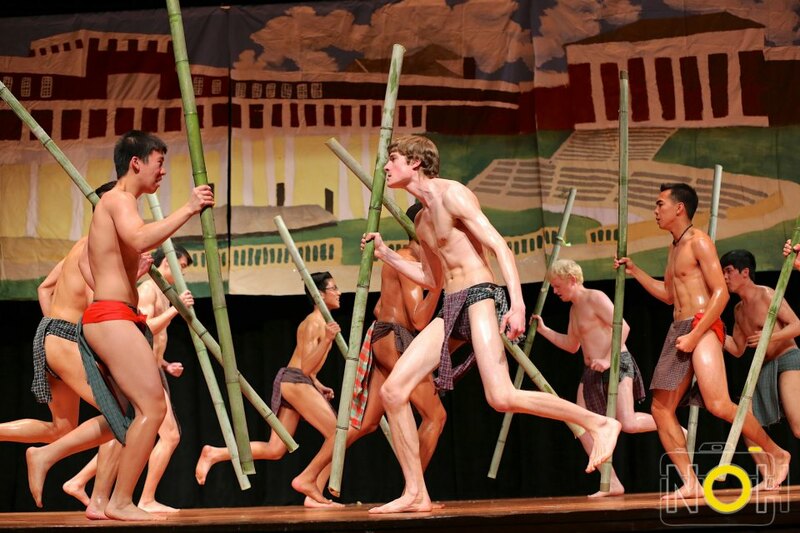 Suddenly the fine arts opportunities were a crucial part of my college decision. Flash forward to first semester at UVA. I had considered and then decided against going to a school specifically for the performing arts in favor of a top liberal arts school (dear old UVA of course), and I was anxious to discover what opportunities there were to pursue performance alongside my other interests. The answer turned out to that there were many, an overwhelming number in fact. In high school there were the school plays and drama class and beyond that not much else for actors to do other than watch movies. At UVA I found there were the department shows, a much wider variety of theater classes, and everything grounds had to offer including student groups, open mic nights, flash mobs, film opportunities, and everything in between. First semester at college was the first time in four years that I didn’t do a play. It was my first break during a school year from nightly rehearsal, but that didn’t mean that I wasn’t involved. In fact, I got one of my first experiences with film. Something I hadn’t known when I applied to UVA was that the university hosts the yearly Virginia Film Festival. A subset of that is the Adrenaline Film Festival, which is a filmmaking contest in which teams make a film in 72 hours. 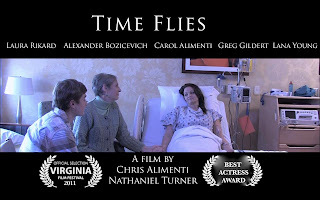 I was cast in a film called Time Flies about a woman living at home who is diagnosed with leukemia and how this affects her and her family. I have only fond memories of the experience, and our film ended up winning an award. Since then I’ve continued to be a wandering soul among UVA arts scene. Every semester I’ve tried something different. Class wise I’ve sampled not only what the theater department has to offer (leading to the decision to become a theater minor) but I’ve also tried courses in fiction writing, music (both on the vocal and songwriting side), and sometime next year I plan to take a dance class. For activities the range stretches even farther. First semester of last year I was in my first department show, the unrestrained production of the popular rock musical Spring Awakening. In the spring I performed in the Barrio Cultural show, an event put on by the Organization of Young Filipino Americans. 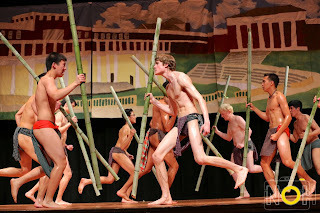 Not only did I perform in the original play written for that show, but I danced the Igorot, a traditional tribal coming-of-age dance whose participants wear loin cloths and stage fight with bamboo spears. Another exciting opportunity I had in the spring was to appear as an extra on the AMC pilot of a show called Turn slated to come out next fall. Though not done at UVA, I never would have heard of the opportunity if the Drama Department had not hosted the casting director for one of its weekly theater events. 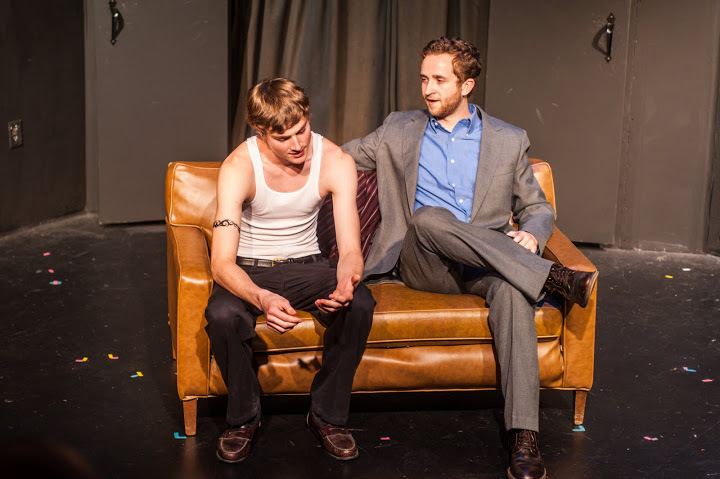 Both summers I have been in shows at LiveArts, an edgy community theater downtown. 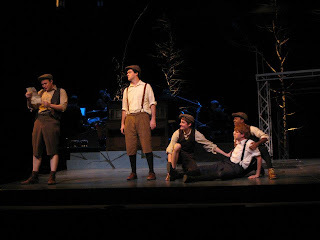 A scene from Spring Awakening. The original play for the Barrio Cultural show. The Igorot dance, apologies for the blinding paleness. The poster for my group’s film in the Adrenaline Film Project. A still from the play “Really? 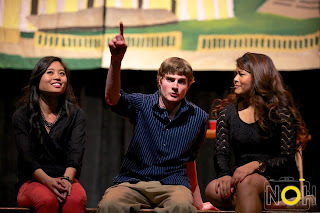 No, Really?” performed at LiveArts. Fun fact: I am wearing a blood packet in my belly button which at the end was popped when my character got shot. I cannot stress enough crucial persistence, personal initiative, and the willingness to experiment are if you want to make the most of what college has to offer artistically. For many it will be an adjustment, especially if you are used to getting all the lead roles in your high school’s production. I’ve gotten the opportunity to perform in many fun and rewarding ways in college, but it was only after experiencing many setbacks and rejections. First year alone I auditioned for at least six different things and did not receive a part. In college you have to up your game, especially at a school with as many talented students as UVA, but if you do stick with it and find a way to express your passion, regardless of what discipline it falls under, you’ll find yourself growing as an artist and a person... not to mention having the time of your life. Welcome to UVa's Student Life Blog! If you're looking to learn more about University of Virginia student life, you've come to the right place! This blog is run by UVa students, for UVa students. We cover everything from academics, to dorm life, to some of our favorite things to do in Charlottesville. If you have questions about any topic, please comment and a student blogger will get back to you soon! Welcome to the blog, and thanks for reading! Questions about the admissions process? Visit The UVa Admission Blog: Notes from Peabody at http://www.uvaapplication.blogspot.com/!